New Taipei City has long been a center for industry and commerce, with nearly 250,000 registered businesses, and more than 20,000 factories in the area. Many companies have chosen New Taipei City as their base in order to benefit from the operational advantages, policy incentives and infrastructure developments the area offers. Close proximity to industry partners has led to industry clustering and economies of scale. The technology sector is well-represented, with biotechnology pharmaceuticals, information technology, optics and chemical materials being particularly well-developed in New Taipei City. The heartland of the IT industry in Northern Taiwan has always been the belt that runs along Freeway No. 1 and passes through Xizhi, Xinzhuang, Wugu and Linkou. Developments in the biotechnology industry are now driving the next wave of integration and innovation in this industry belt. Representative enterprises include Acer, Wistron, Garmin, Chicony, Nanya Technology Corporation, and Inventec. 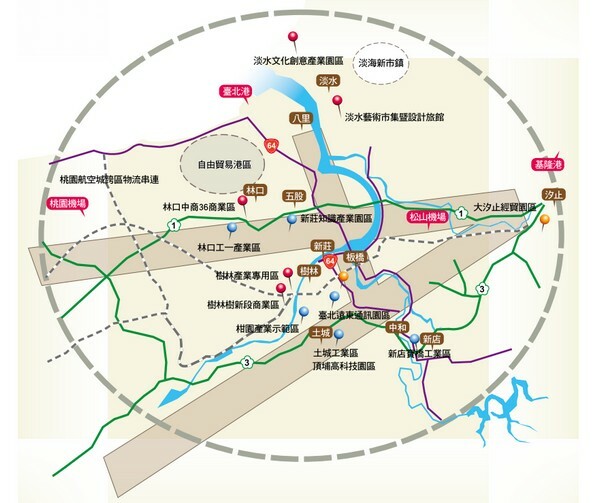 The industry clustering effect has led to the formation of a “Northern Taiwan Technology Corridor” that connects New Taipei City’s Xizhi Technology Park with Neihu Technology Park, Nangang Software Park, Hsinchu Science Park, the Taipei Port Free Trade Zone and Taoyuan Aerotropolis. The convenience and competitive advantages created by this technology corridor for manufacturing, trade and transportation have spurred expansion of the area’s technology industry. Construction of Taipei Port and Expressway No. 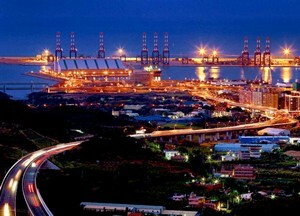 64 connects New Taipei City's many industry clusters, playing a significant role in industrial development. Benefiting from the area’s geography, infrastructure and industry clustering, businesses that choose to invest in New Taipei City can increase their competitiveness with the city’s efficiency and lower operating costs. Major local companies, such as Nanya Plastics Corporation, Tatung, Yulon Motor, HTC, Chun Yuan Steel Industry Co., Ltd and Advantech, as well as foreign enterprises, such as IKEA and Costco, have all invested in New Taipei City.